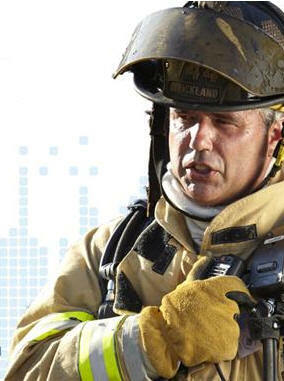 Volunteer Firefighters step up to Datalink's NEXalert over Kenwood Radios. The days of 911 one-way alerts to pagers are fading away. Datalink's NEXalert routes 911 email alerts directly to Kenwood NEXEDGE portable radios, and also older analog Fleetsync radios. NEXalert sends the 911information simultaneously to all radios in the selected groups. Messages are repeated three times, twenty seconds apart to ensure best delivery. Includes "emergency call button" for any firefighter in distress, with GPS location and ID transmitted to command post. Each firefighter’s location can appear on tracking map in command post. GPS location of firefighters in distress in forest and bushland firefighting can be transmitted to helicopters. When a 911 call is placed, the 911 centre should have the ability to dispatch the call via email to the appropriate Fire Department. A DataGate IP routing controller either automatically relays the information to one or more radio groups, where volunteer Fireman are equipped with Kenwood Mobile Radios, or alternately the Fire Station Chief can select the groups that will be called to the Fire Hall. All alerts are transmitted three times. The Fire Chief has the added option to send additional text messages. The local Fire Hall and Volunteer Firemen must be equipped with either Kenwood NEXEDGE digital radios or Fleetsync analog radios.